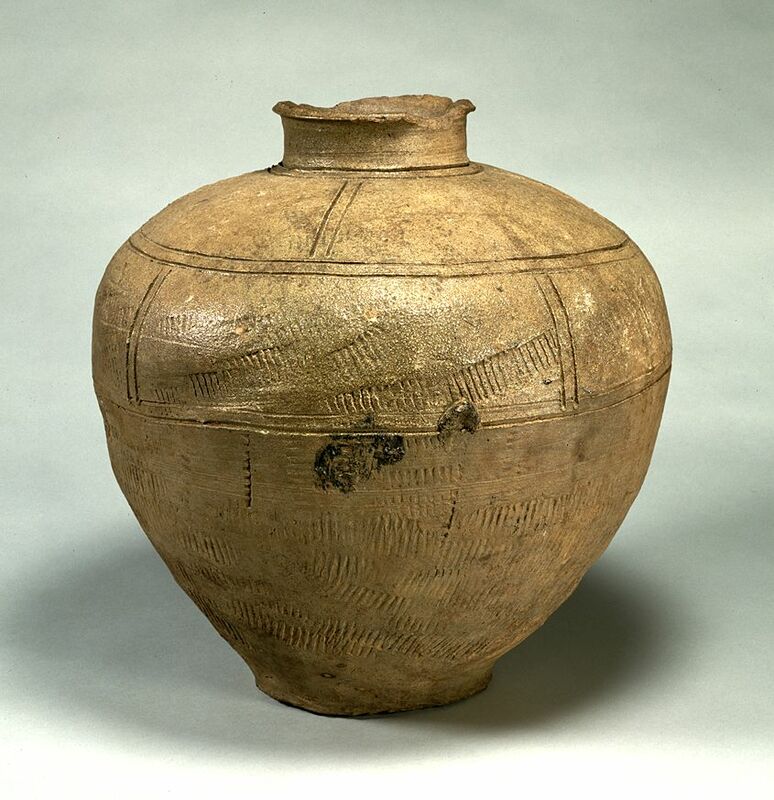 >> Large jar, Atsumi Ware. With ash glaze. Design of crossed band. With ash glaze. Design of crossed band.